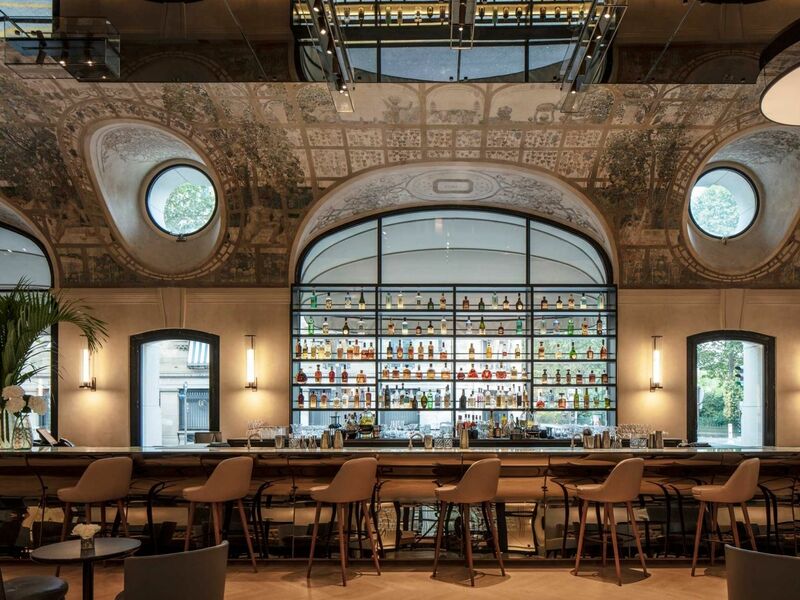 Stepping inside Bar Joséphine, you may find your head in the clouds. It's easy to be swept up by the floor-to-ceiling Art Nouveau frescos. Then, when you look around you once more, it's at a room like no other in Paris. 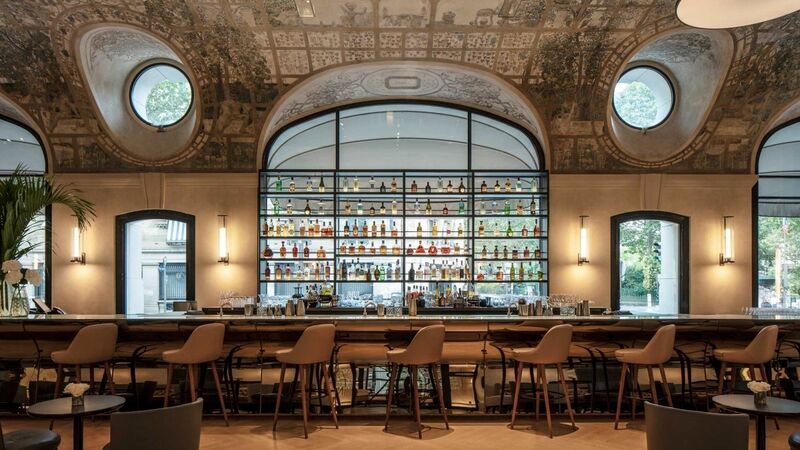 Bar Joséphine is an icon of Belle époque France, served in up-to-the-minute splendour. Towering, sculpted walls offer sweeping views, with light pouring in from two sides. An array of luxurious tables, chairs and leather couches beckon, the perfect setting to enjoy a quiet drink, or hold court with friends. Celebrated in song and stories, this legendary bar du Lutetia has long been the sophisticated heart of the Rive Gauche. After four years of exciting renovations, it has taken its place once again at the center of Parisian life. By day, there is no better hideaway for an intimate tête-à-tête, as the city strolls past the picture windows. After dark, this is the place for a memorable menu, signature drinks offered nowhere else, and live music to match a Jazz-age legend.